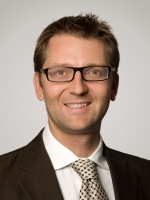 Dr. Patrik Frei is founder and CEO of Venture Valuation AG, Switzerland. He started the company in 1999 when he noticed a need for independent valuation services in high growth industries during a collaboration with Novartis Venture Fund, which became his first client. Since then he has been involved in over 450 valuations for investors as well as biotech, Pharma and medtech companies. Patrik graduated from the Business University of St. Gallen and completed his Ph.D thesis (”Assessment and valuation of high growth companies”) at the Swiss Federal Institute of Technology, EPFL Lausanne. Patrik was a board member and one of the original founders of Ineo, a holding company of the Swiss dental implant VC-backed firm Thommen Medical and also the Chairman of Ophthalmopharma, a Swiss based biotech ophthalmology company, where he successfully out-licensed a portfolio of 4 products. Furthermore, Patrik was member of the board of Aventron AG (AVEN:Berne) a publicly quoted cleantech company, which raised over USD 160m during his time as board member. Patrik’s articles have been published in a number of scientific journals including “Nature Biotechnology”, “Chimia” and other business publications (“Starting a Business in the Life Sciences: From Idea to Market” and “Building Biotechnology: Starting, Managing, and Understanding Biotechnology Companies”). 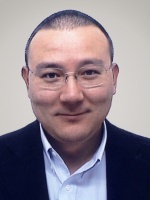 He has also lectured at Seoul National University, South Korea, EPFL Lausanne, University of St. Gallen and gives regular workshops on valuation. 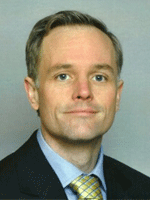 Jost is COO and partner of Venture Valuation and has been with the company since 2001. In addition to his many years of experience in start-up valuations in various industries, he was significantly responsible for the development of the business development database Biotechgate. He has also designed and co-developed various conference and partnering platforms, most recently Venture Valuation's "Speed Dating Software" HelloPartnering. 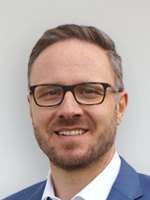 Jost is a member of the expert jury of Venture Kick, a Swiss institution for the financing and promotion of start-ups, and a lecturer for workshops on valuation and financing topics. He has studied at several Swiss universities and holds a Master's degree in Business Administration and a Master's degree in Advanced Studies in IT. Senior Advisor & VP Life Sciences Ph.D.
Susanne has been an expert advisor with Venture Valuation since foundation and is integrally involved in company and product valuation and assessment. 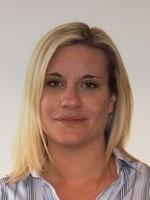 She has 15 years of experience in the global pharmaceutical and biotechnology industry and her professional background includes executive roles at Axentis Pharma (Chief Operating Officer); Viron Therapeutics (Senior VP Product Development), the University of Western Ontario (Associate Director, Business Development and Technology Transfer); and Eli Lilly and Company (Manager Regulatory Affairs and Clinical Research). 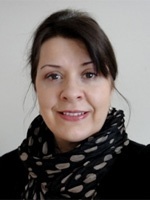 Susanne holds a Ph.D. in Neurophysiology/Neuropharmacology from the Biocenter of the University of Basel, Switzerland and completed post doctoral studies in medical sciences at the University of Toronto, Canada. Before joining Venture Valuation in 2013 as business analyst, Aitana worked as Pharma equity research analyst for Kepler Cheuvreux, covering Valneva, Basilea and Lonza. 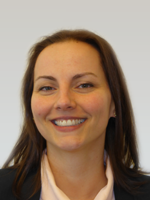 Prior to that, she worked as consultant for Stratas Partners, based in Basel, focusing on projects on market access, pricing and reimbursement, and budget impact modelling. Finally, she started her career in Finance with a position as investment analyst for London-based hedge fund Carval Investors, as part of the NPL team, where she assisted in the pricing and performance analysis of investments across several geographies. Aitana holds a PhD in Evolutionary Genetics from the University of Groningen (Netherlands) and is a CFA Level II candidate. 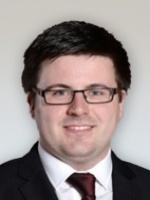 Cian joined Venture Valuation in 2017 as a Valuation and Business Analyst where he participates in the valuation and assessment of companies and products. Prior to working with Venture Valuation he carried out internships in Operations and Data Management for Thermo Fischer Scientific GmbH and Market Research for healthcare start-up Mediteo GmbH. Cian holds a M.Sc. in Management from the European School of Management and Technology, Berlin, where he specialized in Entrepreneurship and Innovation, and a B.Sc (hons) in Biochemistry and Molecular Biology from University College Dublin. Professor Dev holds a degree in Pharmacology from the University of Glasgow, an MBA from Warwick Business School and a PhD in Neuroscience from the University of Bristol. He has international and drug development experience working in both academic and pharma sectors including the University of Kyoto, Japan, Novo Nordisk, Denmark, Novartis Pharma, Switzerland and currently Trinity College, Ireland. Teresa is an entrepreneurial scientist specialized in managing and financing business projects from scientific developments. She holds a PhD in Nanomedicine from University of Groningen, the Netherlands, and an MBA in Management of Biotechnology from the IE Business School in Spain. She was CEO and co-founder of Ambiox Biotech (application of dendrimer nanotechnology in cosmetics and agricultural biotechnology). Teresa was awarded the 2011 MIT TR35 Innovator of the Year award by the Massachusetts Institute of Technology. She was chosen among the top 100 women leaders in Spain in the entrepreneurial and innovative category for two consecutive years in 2012 and 2013. She was also selected as Woman of the Year by the magazine Scientific entrepreneurial Woman Today. For her work mentoring startups, IE Business School awarded her the prize for best Mentor of the year. Online & Marketing Manager M.Sc. Anna joined Venture Valuation in October 2016. She is based in Ireland and her responsibilities comprise coordinating the online marketing and customer support activities as well as supervising the Biotechgate database updates. Anna holds an M.Sc. in Biotechnology from University of Wroclaw (Poland) and a Certificate in Digital Marketing from Dublin Business School. She previously worked as a freelance digital marketing specialist, web designer and online content writer. I graduated from Maynooth University in 2015 with a double honours B.Sc. in Applied Mathematics and Mathematical Physics. He went on to D.I.T. to complete an M.Sc. programme in Applied Software Technologies. 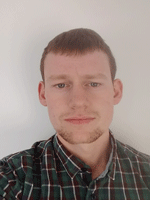 Cian has been working as a software engineer since 2016 and joined Venture Valuation in 2018 to further develop Biotechgate and HelloPartnering. 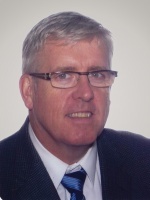 Ron joined Venture Valuation in 2001 and is mainly involved in company and product valuations and assessment. 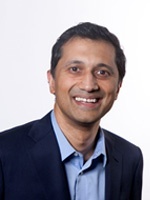 His previous roles include CEO of a biotechnology company, venture capitalist and co-founder of several businesses; senior manager in the pharmaceutical industry with assignments at Roche, Bayer and Eli Lilly. He also has research and laboratory experience in oil field chemistry, cell biology, molecular biology and genetics. Ron holds a Ph.D. in Biochemistry from the University of Western Ontario in Canada. Alan joined Venture Valuation in 2012, he is responsible for conducting business development for the Biotechgate database which is a global, comprehensive information service encompassing the Life Science industry. 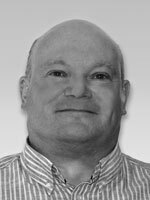 Alan has extensive experience in the business development of innovative information services within the life sciences and previously worked for many years within the business development team at Pharmalicensing. 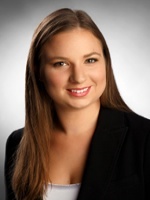 Barbara joined Venture Valuation in early 2014. She has vast experience in multiple roles for a number of life science companies. Barbara is now a part of the Biotechgate business development team and is also responsible for the companies social media activities. Wim is multi-lingual with many years of business development experience within several sectors (and hopefully the best is still to come). He started his career in London after which his professional travels took him to Russia, Spain, Australia and recently to Switzerland. He has over 5 years experience in the Life Science sector. Pravin graduated with a honours degree in Biological Sciences from the University of Liverpool. 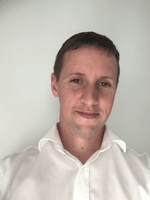 Currently based in Singapore, he has worked in Sydney, Kuala Lumpur, Liverpool and London over the last 7 years in various commercial positions. 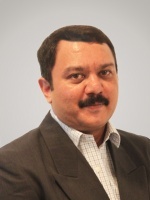 Pravin is experienced at managing multinational clients in emerging markets such as APAC as well as established regions. Having grown up in Asia he possesses unique knowledge and understanding of the different cultures in the region combined with experience in a business development capacity in the life science industry among others. He joined Venture Valuation in 2014 and is in charge of business development in the Asia-Pacific market. Nadine joined Venture Valuation in 2016 as a Business Development Executive for Biotechgate. 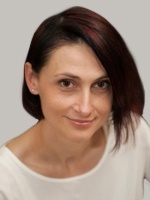 She has over 10 years’ experience in customer focused and representative roles in both Germany and England. Being fluent in both languages, she will predominantly look after the German market. 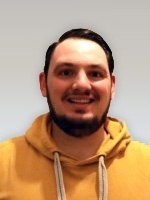 Niall joined Venture Valuation in 2018 as a Business Development Executive for Biotechgate. 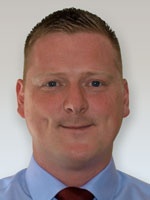 He has extensive experience in sales management and global client support roles over the past 17 years. Niall will support our customers in the USA and Canada from our Irish office in Cavan. Prior to joining Venture Valuation as a business analyst, Benjamin was the commercial Vice President for Moleac pte ltd, a Singapore based biopharma company specialising in neurology. He has extensive experience within the global pharmaceutical industry, including roles at MSD and GlaxoSmithKline covering both European and Emerging markets. Benjamin holds a Ph.D. in Biochemistry and Parasitology from Imperial College London and a first class honours degree in Natural Sciences from Cambridge University. Sarah joined Venture Valuation in November 2017 as a Business Analyst Intern. Her main responsibilities comprise working on the Biotechgate database, creating monthly deal summaries and supporting valuation projects. Sarah holds an M.Sc. in Molecular Biology from University of Zürich, Switzerland. Before she started working at Venture Valuation she gained some experience in Pharma Marketing and Medical Writing. Prior to joining Venture Valuation as an IT Intern in November 2018, Marc was working part time as Web Developer for nonprofit organizations. Marc is studying computer science at the FFHS (Fernfachhochschule Schweiz). At Venture Valuation he is supporting the developer team and is implementing small features and services for Biotechgate-Partners. Head of Japan Operations M.Sc., M.A. 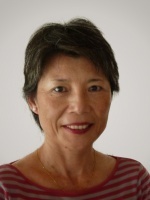 Mariko has extensive experience in business development in Japan, the U.S., and Europe; and is the co-founder of a biotechnology company in Tokyo, Japan. 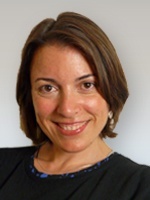 Her former positions include Head of Japan Operations at ACLARA BioSciences (now Monogram Biosciences) in Mountain View, California; Program Manager at Stanford University’s U.S.-Asia Technology Management Center; and managing position at Rhône-Poulenc Santé (now Sanofi-Aventis) in Japan. Mariko holds a M.S. in Technology Management from Pepperdine University in Los Angeles, California, and a M.A. in French from Sophia University in Tokyo. Dieter has been a valuation expert and advisor with Venture Valuation since 2001 and has many years of professional experience as a consultant in various industries. Next to his analytical experience he is specialised in moderation and conflict resolution. He is an accredited commercial mediator with the Chamber of Commerce and Industry, Munich, and the World Intellectual Property Organisation (WIPO), Geneva, in the area of intellectual property disputes. 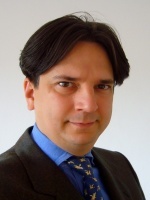 Dieter holds a masters degree in philosophy from the Jesuite School of Philosophy, Munich, Germany. Michael is a Venture Valuation Representative for Asia, based in Seoul Korea. Michael has served as counsel to many US and European start-ups and venture capital funds while at Wilson Sonsini Goodrich & Rosati (Palo Alto) and US investment banks while at Cahill Gordon & Reindel (NY). He is licensed as an attorney in both New York and California. Michael Paik was previously the Senior Vice President of Risk Management at STX Europe, Chief Technology Officer at Seoul National University's R&DB Foundation and Director of Technology Incubation at SNU's College of Engineering. He was General Counsel & Director of the Global Legal Department at STX Corporation, Hankook Tire Company, and the Inje Foundation / Paik Hospitals, where he continues to serve as a Trustee. He has been Counsel to the Korean Venture Capital Association, the Korean Nurses' Association and the Incheon Free Economic Zone Authority, as well as Samsung Electronics, Samsung Venture Investment Corporation, LG Electronics, LG Venture Investments and several other Korean companies. Michael has taught as a Professor at Yonsei University's College of Law, the Judicial Research & Training Institute, and Seoul National University's College of Engineering, and he graduated from Syracuse University (BA, Economics, 1991), Yale University (MBA, 1995) and Columbia University (JD, 1998). Director VV Data Processing, India M.Sc. Sonia is Director of VV Data Processing based in Kerala, India and is responsible for the day to day information management for the Global Biotechgate Database. 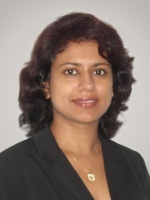 She has over 10 years of experience in Operations, with focus on Quality Management, in the ITES industry. In a previous role, she developed and implemented processes and facilitated resource mobilization for start-up ITES companies. Sonia holds an M.Sc. in Biotechnology and has completed additional training including NQA certification as ISO 9001:2000 QMS Auditor. Sarath is the Managing Director of VV Data Processing based in Kerala, India which is responsible for data management for the Global Biotechgate Database. He has over ten years of experience in System Analysis, Design and Management and played a key role in IT companies like M2 Comsys and Ascentia Technologies. Sarath obtained his Masters Degree in Biotechnology from Mahatma Gandhi University, India and pursued research in Bioinformatics.